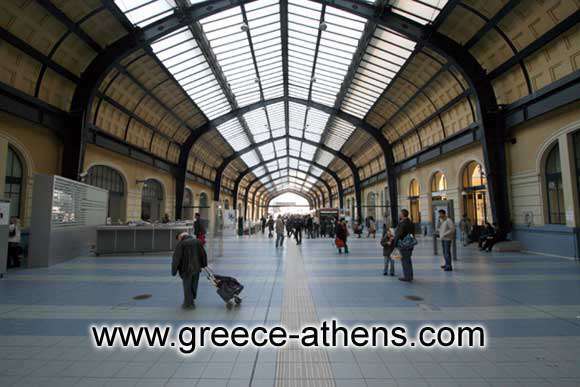 Piraeus station is found opposite of the central port of Athens. It is housed in an imposing building that was built in 1929. After the recent renovation, the building recovered its old glamour. At its architecture is obvious the influences from the stations of European countries that were manufactured that period. The station functions from 1869 that was inaugurated the Electric Railway, Thissio - Piraeus, which connected the town of Athens with the harbour. From then, until today it serves daily hundreds people and travellers that are going to the Greek islands by ship. The harbour of Piraeus is found at the north-west side of Athens and abstains 10 km from the centre. It was selected as central commercial harbour of Athens in 1834. From this harbour begin all the coastal lines for the islands of Greece and for the harbours of abroad. In the around region reside the most shipping companies and a lot of travel agencies. Also, there are a lot of companies and commercial shops.